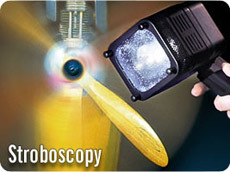 Stroboscopes are used for studying fast repeating motions. 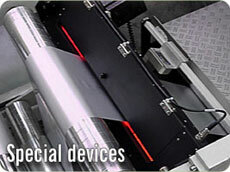 They find application in quality control, for for example the printing-, paper- and cable manufacturing industry. Other applications are in research, for example in high-speed filming and photography. DRELLO supplies a full range of professional stroboscopes, from compact hand-held, to high-performance stroboscopes with separate lamp / power supply and stationary systems that can be build into a processing line. DRELLO offers ballistic measuring instruments for capturing of inner and outer ballistic measuring data and for the capture of target data. Measuring instruments range from gas pressure- and velocity sensors, electronic target systems, software and complete custom-made solutions. 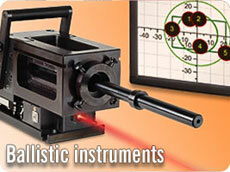 In addition, DRELLO offers callibration services for ballistic systems to meet various militairy standards. 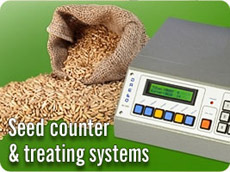 For research applications, Drello supplies counting and filling devices which provide economic and gentle handling of your seeds. The DRELLO systems avoid selection of the seeds by size and density, as is often the case with other systems. Detailed technical information is available from the DRELLO website. You can click on any of the images to the right to go directly to the website on a specific product. Huygens Optics also does repairs and service on existing DRELLO systems. For more information, advice or a price quote, please contact me.